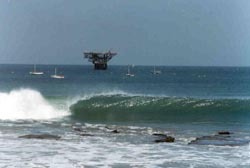 Organos is located in the north coast of Peru, city of Piura. Km 1153 of the North Panamericana Highway. Tropical and dry weather, fairly good all the year round. Average temperature between 32°C and 19.4°C. Light rains from November to March. 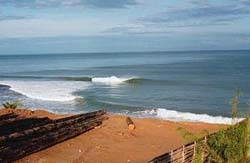 The wave is reef-break from the left, tubular, well formed and it reaches 2 meters.